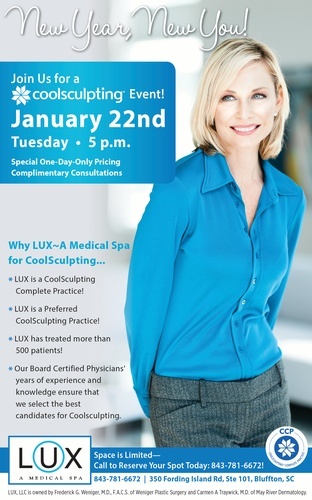 Join Lux ~ A Medical Spa for a Cool Night Out on Tuesday, January 22nd at 5 pm. Special One-Day Pricing, Complimentary Assessments, Door Prizes and Light Refreshments! Call to reserve your spot, 843-781-6672!